Your living room is a high-traffic area that sees many guests and family members. Decorating it with beautiful high-end furniture pieces will help complete the look and also provide a warm and welcoming space. Sofas, loveseats, settees, couches, and chairs are essential aspects of your living room furniture. Not only are they comfortable places to sit, but they also can add visual impact to your room and décor. View the wide selection of sofas and chairs available at Carrocel. 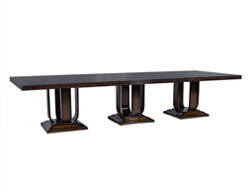 Tables provide a spot for you and your guests to place things such as drinks and finish the overall look of your room. Available in a wide variety of finishes, material, styles, shapes, and sizes, browse for the option that suits your living space best. 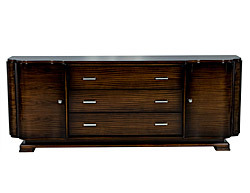 Console cabinets serve as the entertainment hub in a room. Often containing televisions, DVD or Blu-ray players, game systems, and movies, these pieces can also be used to display a variety of objects. Select the cabinet size based on the available space in your living room. Lamps, wall-mounted lights, and chandeliers provide brightness and warmth to your living spaces. If space allows, a chandelier can make a grand statement. If, however, you do not have the room for such a fixture, wall-mounted lights and floor or table lamps will serve the same purpose. Adding your personal touches to your living room is simple with the use of accessories. Mirrors, for instance, add dimension and light to a room, as well as provide the illusion of more space if used correctly. Utilizing wall art, pictures, or sculptures can also help to bring in some aspects of your personality and style. 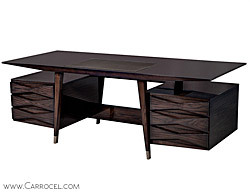 Carrocel has a wide variety of high-end furniture available in our 20,000 square foot showroom. Located at 245 Bridgeland Avenue in central Toronto, we invite you to come in and browse our displays and see our quality pieces yourself. For a more in-depth selection, please view our online catalogue.